Raising capital is one of the most difficult tasks, for any entrepreneur that wants to start up their very own small business. 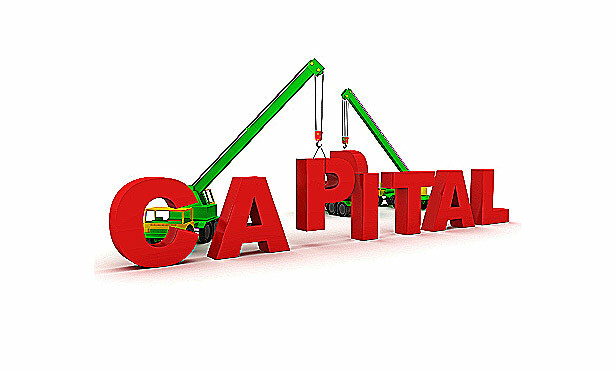 In Accounting, capital is the amount of money which is available for the business to spend on various business activities. Raising capital is not an easy task especially for an upcoming entrepreneur and often requires a lot of patience and determination. There are so many ways that an entrepreneur can raise capital for their small business, however, before using any capital collection methods available, don't forget to have a business plan to show to your investors. The nature of the business, the objective, the mission statement, the business goals, costs, expenses, staff and everything business related will be stated in the business plan. A person who wants to start a small business can always contact their close friends to get some money to raise capital for new set-up. Some close friends are always there at the point of need; however, make sure that there is something in it for them. Think about why they would simply lend you money? When you ask for money, pay it back with interest and within the payback period, or you can add them on as partners in your business. Regardless of what you decide to do, just remember, you have to be upfront and honest with your friends, otherwise you will not get the money, even from your friends. In a business, angels are the not the biblical divine beings, instead, they are very rich people that enjoy helping entrepreneurs in their business ventures. They are also called philanthropist. Always remember that angels are professionals too and they need to see a proper written business plan before they will even think about investing or giving you loan. Family members are always entrepreneur’s first point of contact when they want to raise capital. The thing about family is that they will always be willing to help and support a good idea with financial assistance. Families is very strong bond and even if you do not have a very good and presentable business plan, you will still be able to get the amount of money they require from family. Sometimes, the amount of money collected from family members may not be enough for your business, but it can be a starting point. Going into the world of business will almost require you to deal with private investors. You can contact private investors in order to raise capital for a small business. Due to their hope of getting a large return on their investment, private investors are always willing to invest money into new and strong business ventures. Private investors usually have many years of experience in investments and business. As a result, you must make sure that the business venture you want to commence is profitable and has a solid business plan otherwise private investors may not want to invest or be of assistance. Venturing capitalists are investors that provides capital for new business. Contacting venture capitalists is a great way to raise capital capital for your small business; but it is often one of the hardest ways. Venture capitalists have very rigid terms for their investments. Over the years, only few small businesses have been successful in getting finance out of venture capitalists. You will get all the capital you need to commence and operate the business if you successfully pass the requirements set by the venture capitalists. Furthermore, venture capitalists will provide sound business advice and help you make business decisions so that your business grows and survives the business world. Venture capitalists will also take a return on their investments if the business does well. Contact a bank for a loan is one of the great ways of getting capital for a small business. Provided their credit rating and history is good, most banks would be happy to provide a loan to you. Furthermore, banks will also need to see the business plan and all expected expenses and sources of revenue before they provide the loan facility. Once the loan has been provided, you must pay it back to the bank, with interest over a given period of time. There are some specific banks for entrepreneurs, where they can go, pitch their business venture, and if feasibly, the entrepreneurial bank will help provide the capital needed to start the activities. These institutions and banks allow for a longer payback period which means that you have more time to generate profit profit before payback period. NGO’s, means non-governmental-organization, they are also very helpful in raising capital for a small business. NGOs may not be able to provide financial assistance directly for you, however, they can guide you in the right direction to reliable sources where you can get capital. An entrepreneur can raise capital by reaching out to their customers. How? Well, you can charge a customer for a product or service before you actually deliver it to them with an upfront payment. If the product or service is worth it for them, customers would be more than happy to make an upfront payment.